Lampson specialise in heavy lift and transport projects and also provide the associated support services of servicing, maintenance, engineering and rigging design. 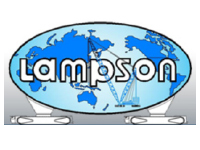 As a “Quality Endorsed” company to AS/NZS ISO 9001:2000, Lampson (Australia) Pty Ltd is committed to providing the best equipment and services in the specialised heavy lift industry. Internationally, Lampson has won the prestigious award for excellence in lifting and transportation six times so far from the “Specialized Carrier and Rigging Association” (SCRA), with work completed by Lampson Australia taking this award on two occasions.